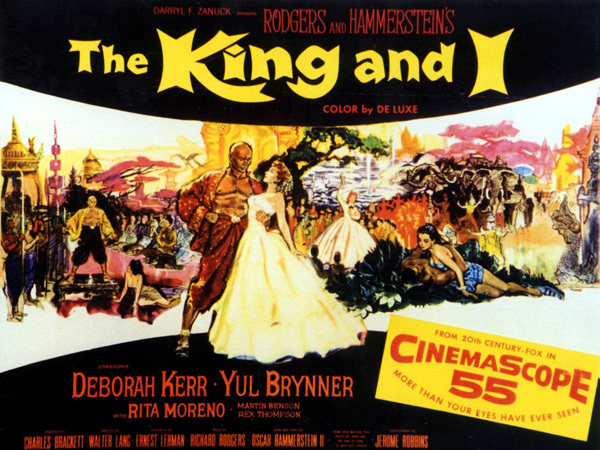 "Hello, Young Lovers" is a show tune from the 1951 Rodgers and Hammerstein musical, The King and I. It is sung by Anna, played by Gertrude Lawrence in the original Broadway production; by Valerie Hobson in the original London West End production; and by Deborah Kerr in the film version (although voiced-over by Marni Nixon). The heroine Anna sings this song when she tells the wives of the King of Siam about her late husband, and sympathises with the plight of Tuptim, the Burmese slave girl. Displaying 1-25 of 25 items. Warm harmonies and gently nuanced textures give Roger Emerson's setting special appeal. Steve Zegree's jazz harmonies in this classic ballad, "Try To Remember," from The Fantasticks simply shimmers in this warm a cappella setting! This beautifully lyrical classic ballad, "The Very Thought Of You," is expressively arranged in a lush a cappella setting. Varied choral textures and luscious harmonies make "Hello Young Lovers" an ideal selection for a cappella vocal groups. Also included is "Georgia On My Mind." 25 songs from Bobby Darin's long and fruitful career. This is the perfect first collection for many voice students, whether they are teens or college singers or adults. Joan Boytim has selected songs appropriate for each voice type, and has chosen keys that suit the vocal needs of novice singers studying in traditional, generally classical lyric singing. The editions of the songs in these collections are short and straight-forward. Teachers have found these books invaluable. This revised edition features 12 songs from the beloved 1951 musical about a British governess in the Siamese court, including: Getting to Know You - Hello, Young Lovers - I Have Dreamed - I Whistle a Happy Tune - Shall We Dance? The most comprehensive collection of Broadway selections ever organized specifically for the singer. Each of the five volumes contains important songs chosen because of their appropriateness to that particular voice type. All selections are in their authentic form, excerpted from the original vocal scores. The songs in The Singer's Musical Theatre Anthology, written by such noted composers as Kurt Weill, Richard Rodgers, Stephen Sondheim, and Jerome Kern, are vocal masterpieces ideal for the auditioning, practicing or performing vocalists. 46 songs, including: Where Or When * If I Loved You * Goodnight, My Someone * Smoke Gets In Your Eyes * Barbara Song * more. A fantastic series featuring the best songs from Broadway classics. Collections are organized by voice type and each book includes recorded piano accompaniments on CD. 13 songs, including: Falling in Love With Love - Hello, Young Lovers - Mister Snow - So in Love - In My Life - and more. The Real Vocal Book has many of the selections from volumes 1 and 2 of the instrumental Real Books, but now with the lyrics added to the pre-existing melody line. Nearly 300 essential songs compiled especially for singers. 15 great standards in custom arrangements for singers, with a companion CD of tasty jazz trio accompaniments (piano, bass, drums). The women's songs are in appropriate, low keys for this style of music. All fifty arrangements of jazz standards in this book are written in a single line "fake book" or "lead sheet" format. However, they are not just the standard renditions of the songs. All are custom arrangements, logical suggestions for repeated sections, and simple but stylish song endings. The chords below the lines are the traditional harmonies. The chords above the line are more advanced, alternate harmonies. A musician using these arrangements may use just one set of these chord changes, or a mixture of them within a song. 25 more great songs for young singers, with no song duplication from The Teen's Musical Theatre Collection or Musical Theatre Anthology for Teens. The CD includes piano accompaniments for each song. Varied choral textures and luscious harmonies make this Rodgers & Hammerstein standard an ideal selection for a cappella vocal groups.